Photopass: What were they thinking? I love Disney’s Photopass. It’s one of the things I get every time I go on vacation. I love the convenience of not having to lug a camera through the parks. It’s wonderful to know that everyone in your party will be in all photos as there will be a professional photographer to take the picture. My favorite thing of course is the fact that pictures taken on rides are automatically saved so you don’t have to pay anything extra to see the completely embarrassing terrified expressions they make on a ride. Another interesting feature of Photopass is the Magic Shot. Your favorite characters and various effects are added to the picture. While I enjoy most of the Magic Shots offered I must confess I am baffled by one of the recent additions. I love Disney Food. I love that Disney is beginning to recognize that a lot of people like me are more excited about the food then they are the rides. But this is just sad. They do know that you can buy an actual Mickey Bar and have someone photograph you right? I guarantee it is way more fun to eat ice cream then it is to pretend to eat ice cream for a photo. 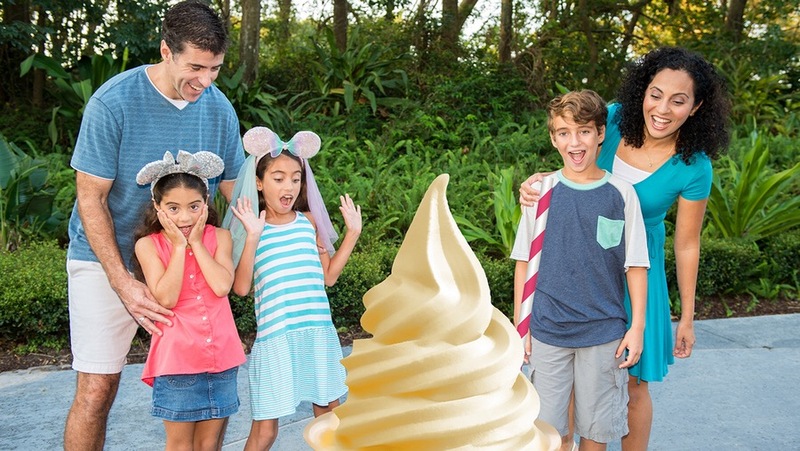 A Magic Shot with a giant Dole Whip is now also available. Don’t get me wrong I LOVE Dole Whips, but this picture isn’t exactly magical. Really it’s a bad sign when the family in the sample photo looks completely confused on how to react. Disney I love you, but this Magic shot is not up to my expectations. You have licensing on so many wonderful things that will make for a much better picture then pretending to eat a readily available ice cream. I went to Narcoosies for Brunch on Sunday October 30, 2016. Narcoosies has been one of my favorite places to eat for as long as I can remember. It’s part of the Grand Floridian resort and sits just on the edge of the water in the Seven Seas Lagoon. At night can see a the magic kingdom from across the water, and at night you can see fireworks and the floats go by. But as you may have noticed I said I was eating brunch. Brunch is fairly new to Narcoosies, it only began a few months ago. I for one was very excited, there aren’t enough place to get a nice sit down breakfast in Disney World. I’m a person who really loves breakfast, and I love the idea of being able to get a quiet and sophisticated brunch so I was pretty excited for the meal. As you may know that while Disney provides free transportation, they do not offer transport between their various resorts. With the exception of the resorts connected by monorail, you have to take a bus to one of the parks and then transfer to a bus, boat, or monorail in order to go to the next hotel. Honestly it’s a bit of a pain, but I rather like the trip to Narcoosies. Naturally if you aren’t staying in the Grand Floridian you can take a bus or monorail, but my favorite mode of transport is boat. If you go to the Magic Kingdom you can catch a boat to the Grand Floridian that lets you off right next to Narcoosies. The boat ride takes a little longer, but it is beautiful and relaxing and for me at least it always adds to the experience. We were given a table with a beautiful view of the water. Thought he meal plan does not come with alcoholic beverages (a darn shame because I would absolutely pay extra to get a cocktail with each meal) this meal came with a choice of Bloody Mary, Prosecco, or bottomless mimosa’s. We went with the mimosas and I think it was a great choice, especially since it was he only option that came with free refills. We started off with a basket of pastry, I didn’t the a picture of it but they were good. There were Cinnamon twisty things, super buttery croissants, and a Danish that was half cheese half strawberry. All were pretty tasty. For our first real course I ordered Shrimp and Grits. This was probably my favorite single dish I ate during my entire trip. 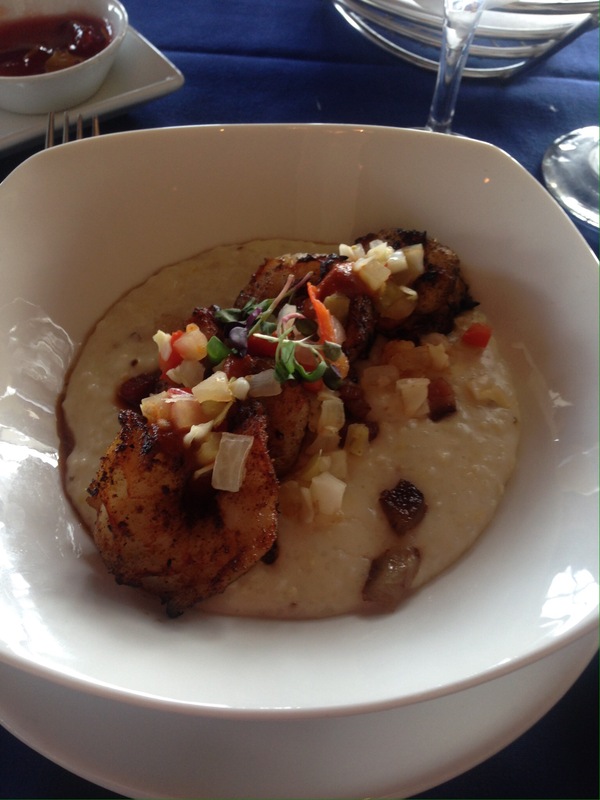 The shrimp had a little spice to them, which was balanced out by the perfectly smooth and creamy grits, which had bright bursts acidity from the fried green tomatoes. All and all a perfectly balanced dish, I would have licked the bowl if I wasn’t in public. My mom ordered the cheese board. As usual the cheese board was excellent. 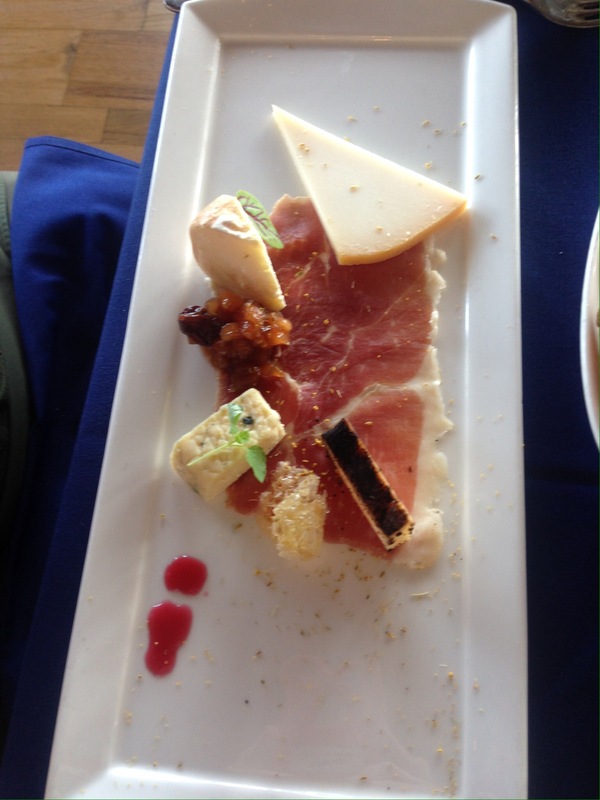 It’s not just about having good cheese, the chefs come up with brilliant combinations to bring out flavors. I don’t know enough about cheese to determine why one slice came to life with honey while another went with sautéed onions. All I know is that cheese boards at Disney are like some dairy based form of magic and I love them. 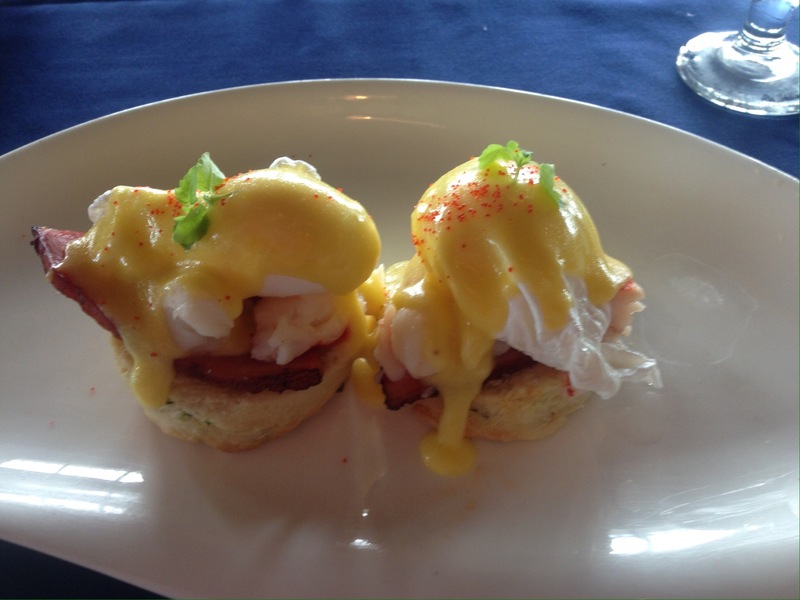 Next we ordered our main course Lobster eggs Benedict. Something must have gone wrong with our order, it took a very long time coming out and when it finally did arrive it was cold. I noticed that a few people who had been seated after us were able to leave before we did. Like I said we waited a very long time for the main course to come out but the staff was friendly and apologized profusely while refilling our mimosas so I wasn’t too upset. Still I have to admit I didn’t really like the lobster eggs Benedict as much as I had hoped. Again mine was served completely cold, and I think that was not how it was supposed to be served. 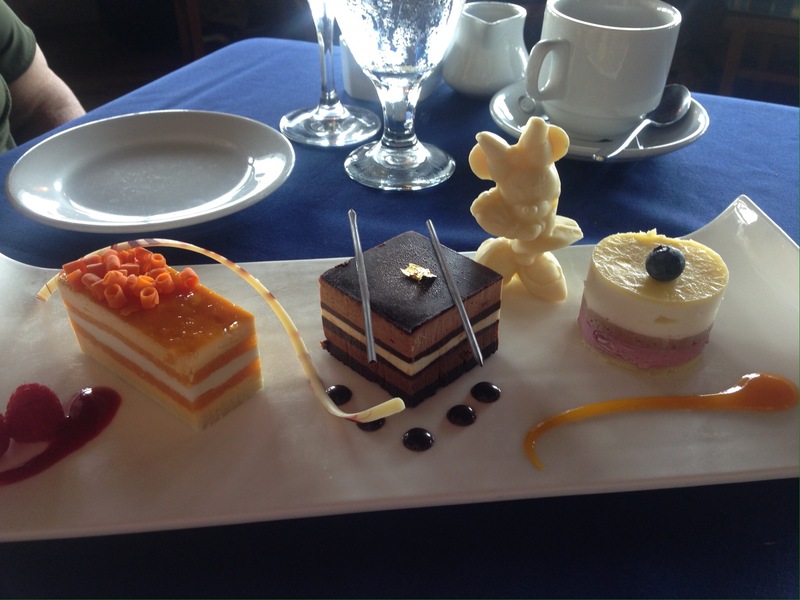 Finally there was a plate of three small desserts and a white chocolate Minnie, designed to be shared. Looking around the restaurant I could not help but notice that no one seemed to finish this dessert. This is not to say that it was bad, I suspect that at this point everyone was already too full to eat it. I confess we did not get anywhere close to finishing it. The presentation was lovely. There was an orange dessert, a chocolate dessert, and a blueberry mousse dessert. My favorite was the blueberry, it was light and sophisticated. I found the chocolate dessert to be too rich, and that is saying something for me because I love chocolate. I wasn’t a big fan of the orange dessert, but I think that is mostly a personal taste issue. I like oranges and orange juice, but i can’t stand things that are orange flavored. All and all I enjoyed the meal. Sure the lobster eggs Benedict didn’t turn out to be the decadent dish of my dreams, but everything else was great. I think more that anything I enjoyed having a calm relaxing place to start the day, which is a rare quality amongst Disney Breakfasts. Sadly they one offer Brunch on Sundays, but I really hope they begin offering breakfast other days if the week. 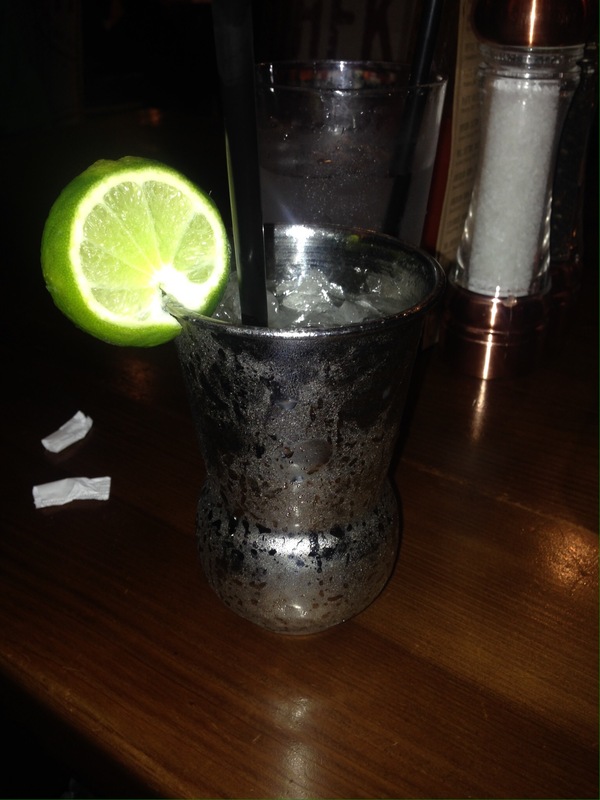 #ImATerribleFoodBlogger review of Homecoming Florida Kitchen and shine bar. I began my vacation on October 29th 2016. As my plane did not arrive till late afternoon I decided it would be a lot simpler to go to Disney Springs, instead of heading out to one of the parks. We took the ferry ride from Port Orleans French Quarter to the newly dubbed Disney Springs. I haven’t been to Disney in over two years, and I confess when I got to Disney Springs, I hardly recognized it. Before, the areas had loosely been organized like a boardwalk. One line of businesses facing out towards the water, with a few directly on the water. This made it pretty easy to navigate in past years. The layout has grown considerably more complex, and to make matters worse many of the new buildings were tall, so could couldn’t see the signs on the next building up in order to help you navigate. Long story short, I had more difficulty than anticipated finding the place. I gave myself an hour between arrival and my reservation to navigate, and on a busy Saturday night I wish I would have given myself more time.Then again I did still arrive early for my reservation, I just found getting there super stressful. The building of Homecomibg is well not entirely special, not that it’s a bad thing. It’s open and airy with huge windows, and lovely exposed beams making a modern and elegant reimagining of a barn. The decor was modern with lovely country touches everywhere. Feed bags were stretched out around the lights making modern chandeliers, moonshine bottles decorated all of the higher ledges of the restaurant. My favorite touch was the bathrooms that had cute signs that said ‘Yes Mam’ with a picture of a hen, and ‘Yes Sir” with a picture of a rooster. Truthfully it was a lot smaller then I had anticipated from the pictures I had seen in other food blogs, which mostly seemed to have been taken on a night where it was empty. The night I went it was packed and incredibly noisy. If I had one complaint about the restaurant it was the noise. I suspect on most afternoons it is probably okay, but the night I went there was a live band performing. The live band, couples with the restaurant musical soundtrack, and all the many people inside all combines to make it very difficult to hear inside the restaurant. Also I was freezing inside the restaurant when I went. The most important thing about a restaurant of course is the food. I saw chef Art Smith on Top Chef Masters and really liked his philosophy on food, and not to mention he seemed like a super nice guy. I was very excited to get to try some of his food. We were in the Disney Deluxe dining plan and this restaurant only counted as a single sit down credit. I decided to start the meal out with a moonshine cocktail, called a Muleshine. Basically a Moscow mule but with moonshine replacing the vodka. Review, quite tasty. I’ve had moonshine cocktails before, and I have found them to be a more mellow tasting mixer than vodka. The lime and ginger beer combines well with the moonshine. The were a number of moonshine cocktails and moonshine shots available, lots of them looked great. On to appetizers. 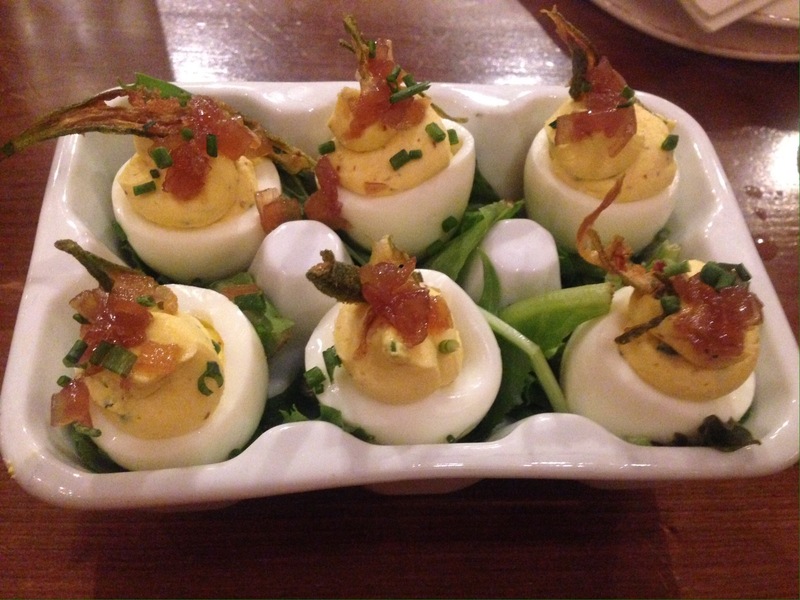 Like any obsessive Disney foodie I read the menu months in advance, and was delighted to see deviled eggs on the menu. They are a favorite of mine, so of course I had to order them. The presentation was super cute, as you can see above. Usually deviled eggs are cut in half, cutting off only the tops and garnishing them certainly elevated the look of the picnic classic. However, I regret to inform you that aside from the bits sprinkled on top, they don’t taste all that special. I mean I still ate them all and enjoyed them, but I have had better ones before. What is the point of going out and paying to have devilled eggs from an award winning chef, when you know a coworker of yours routinely makes better ones for company potlucks. My mother went with the shrimp cocktail. I can’t remember exactly what they called it, and I am too lazy to look up the exact name now. 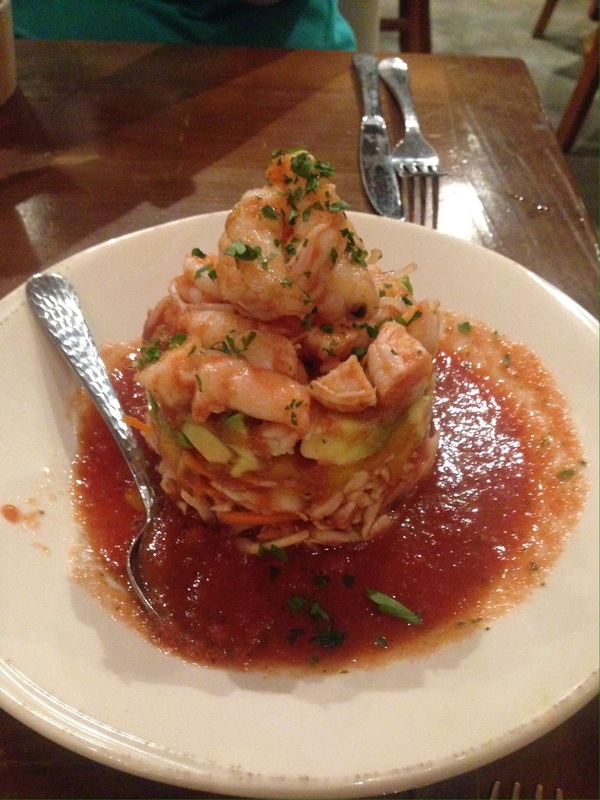 But you know whatever appetizer sounds like a shrimp cocktail is probably this thing. Again the presentation was wonderful, it tasted pretty great too. There were some tropical fruits and avocado mixed in with the usual cocktail sauce. The only regrets I had about the appetizers is that I ate so much I couldn’t east as much as I wanted too for the entrees. We had heard about the famous fried chicken. My mother ordered the chicken dinner, and I ordered the chicken and doughnuts. The chicken dinner came with a side of pickles. They were sweet and sauropod like bread and butter pickles, but had a nice little hit of heat. If at t smith starts selling pickles at grocery stores, I will totally buy them. The biscuit was good, but sadly noting too special. However my mother and I were both in agreement that the fried chicken and mashed potatoes were the best we had ever tasted. The chicken had excellent flavor and wasn’t salty the way some places tend to make it. The skin was crispy and the chicken was perfectly juicy. Seriously best damn chicken I have ever had. The mashed potatoes were unbelievable creamy and delicious. My meal was essentially the same, except it came with doughnuts instead of biscuits and there were no pickles. 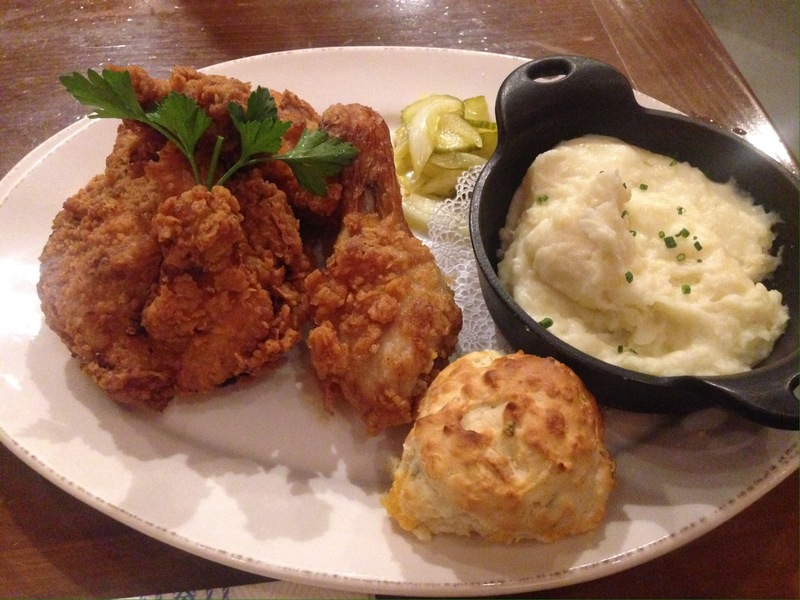 The chicken was served with a sprinkling of powered sugar and came with a side of warm syrup for dipping, which early acted to enhance the flavors of the chicken and add to the whole feeling of this being comfort food. The doughnuts were a little dry but tasty. 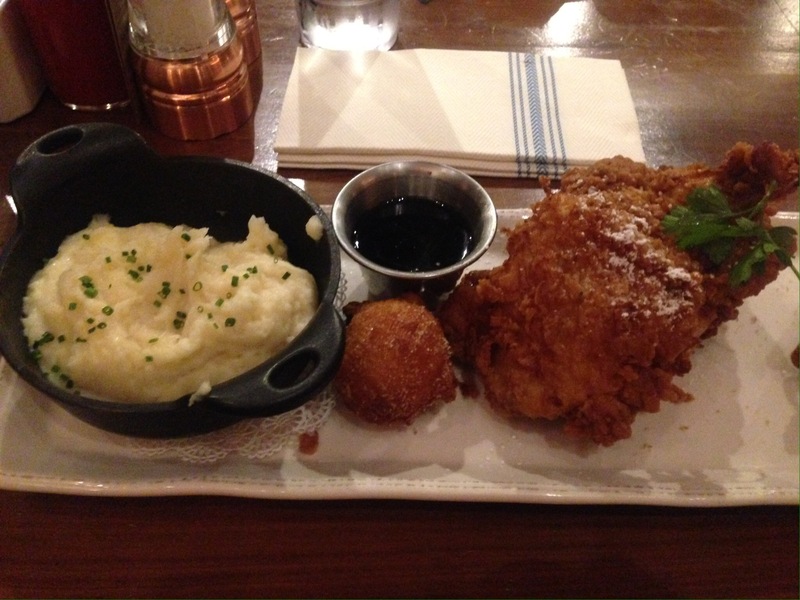 In terms of proportions I think is makes sense to serve fried chicken with doughnut holes instead of a full waffle, it didn’t overwhelm you with carbs but made you feel a lot less weird abut enjoying the powered sugar and syrup on my chicken. The portions on the entrees were huge, even by American standards. Even without have the appetizers I doubt that I would have been able to finish the meal, and for the record I am a lady who loves to eat. Then came time for dessert. Admittedly we tried only a bite or two inside the restaurant and had the rest packed up for later. We ordere the Moonshine cake, and the pecan pie. I forgot to take pictures. The moonshine cake was tasty but was a fairly plain cake with a nice lemony moonshine glaze. It was nice and perfect if you are looking for a lighter dessert. The pecan pie was amazing it had chunks of chocolate and this amazing crust that was flaky and kept the whole thing from being too overwhelmingly sweet. So overall a fantastic meal of southern cooking. The place was super noisy; but the chicken, mashed potatoes, and pecan pie were so completely out of this world that those complaints are hardly worth mentioning. Would highly recommend this place, and I plan on stopping by again when I next visit Disney. That’s all for now Dear Reader, more posts about my 2016 trip to Disney coming soon. #GiveElsaAGirlfriend:Why Disney won’t give us an LGBT princess yet, and what they can do instead. One of the most controversial hashtags raging through Disney Twitter at the moment is #GiveElsaAGirlfriend. The basic principle behind the hashtag is simple, it’s about time that Disney had a Gay princess. Frozen was a revolutionary movie unafraid to challenge classic Disney tropes. In Frozen we are told that falling in love with someone you just met is a terrible idea. Perhaps more importantly we are shown that an act of true love doesn’t have to come in the form of a romantic kiss. Anna had the power to unfreeze her own heart by sacrificing herself to save her sister. The romance between Anna and Kristoff is a cute thing that happens in the story but it is far from the point. The love story here is between two sisters who have been torn apart by a secret. Elsa spends most of her childhood locked away in her room because she is terrified of what will happen if people find out about the fact that she is different. Her parents taught her to be afraid of herself, and that what she was by nature was wrong. Elsa is frightened of herself to the point where she even hides from her own sister who was once very close to her. When her unusual gift is revealed some people think that she is a monster and she willingly flees her own palace just so that she can be left alone. Is it really any surprise that some in the LGBT community have found similarities to her story and to that of a person who is coming out of the closet? “Let it Go” has been hailed as a gay anthem up there in the ranks with songs like “Born This Way” and “I’m Coming Out.”It’s no wonder Elsa is a natural choice to be the first LGBT princess. Personally I think it’s about time we have an openly gay Disney Prince or Princess. I can only imagine how strange it must be to grow up and see all of these movies and TV shows around you, and almost none of them representing who you are or the type of relationship you want to have. Having an openly gay Disney character would be a huge step towards making LGBT acceptance the norm. It would be incredibly beneficial not just for LGBT youths to have a character to look up to, but I think it would do wonders in raising the next generation to be more accepting. Sadly, I just don’t think this is going to happen, not yet anyway. For every positive tweet for #GiveElsaAGirlfriend there is a horrific hate filled one about why Disney should never have a Gay princess. The fact that Elsa’s storyine in Frozen has already been criticized for pushing a “gay agenda” by this idiot Simply because Elsa’s story had absolutely nothing to do with romance or trying to find a husband. Yes by some in fundamentalist religious groups even daring to be a woman who realizes there are sometimes more pressing issues in life then finding a husband is considered dangerous. I mean it’s not like Elsa had to deal with more important things like figuring out how to control her considerable powers, or find a way to keep her kingdom from being in an eternal winter, or even protecting her kingdom from those who wished to take advantage like Hans or The Duke of Weaseltown or anything. No finding time to look pretty and make sure you have a husband before you start to lose your looks totally more important the accepting who you are and saving a country. Sadly as much as Disney means to me, and as much as I have a deep and abiding love for all they create, Disney is still a business. Making money will always come before making dreams come true. When you make a sequel to a major hit like Frozen you have to make sure that you will get a return on your investment. Getting talented writers, animators, musicians, and an A list voice cast aren’t cheap. Disney has shown that it is dedicated to making this another blockbuster and not another sad straight to DVD sequel like it has done with so many other movies. They need to make sure the move will sell and sadly, a movie with a Gay lead character in a Disney movie would be a huge financial risk at the moment. Not only do they have to worry about all of the homophobes in the US boycotting the movie, they have to worry about a large conservative country like China not allowing it in at all. China is one of the largest sources of revenue for American made movies. But with the strict guidelines of the Chinese communist government American movie makers are faced with a decision to tailor their movies to get approval from Chinese censorship boards, or lose out on a ton of money. Sony has changed movies in order to appeal to Chinese censors. Earlier this year http://www.theguardian.com/tv-and-radio/2016/mar/04/china-bans-gay-people-television-clampdown-xi-jinping-censorshipit’s not unreasonable to think they would prevent a movie with gay characters that was specifically marked to children from entering the country. So long story short, I don’t think Disney would take the risk in making Elsa gay for fear that they would lose serious money. Not just in ticket sales for this one movie, but sadly also in likely boycotts of their products and other films. It’s sad I know, but just because Elsa almost certainly won’t be a lesbian in the Frozen sequel, doesn’t mean that they still can’t make a revolutionary movie with a positive message. As I see it there are three possible ways Disney can address this. Elsa remains single. Sure maybe she has a few suitors that she turns down for one reason or another, but more likely the story doesn’t talk about romance for Elsa at all. She is a queen with superpowers, she does not need or want a man to rule by her side she has got this all by herself. Let Anna and Kristoff produce the next heir to the throne, Elsa has more important stuff to worry about. Teaching young girls that you can be a fabulous powerful woman and you do not need a man to validate that for you. Teaching all children that you can have a full and complete life even if you don’t find love. A perfectly plausible sequel. The Xena Warrior Princess Solution: Lets see how much gay subtext we can put in this thing without outright saying Elsa is gay. Finally we have what in my opinion the best option for a Frozen sequel that they are likely to actually. Wonder why I have a picture of a man from a The Incredibles? Well it’s simple really. There is a theory that all Disney movies happen in the same universe and that all of them are in some way connected to each other. What if the super hero Frozone got his powers from his Great Great Grandma Elsa. I know what you are thinking, there isn’t much of a resemblance beyond the ice powers, and Frozone never claims to be royal. But if Elsa marries an man of African descent, who is to say that in a few generations that he couldn’t be her direct descendant and that for one reason or another the royal title has fallen away. Disney has never had an interracial couple. Ariel and Eric were an interspecies couple, and that my friends is a whole different kettle of fish. It’s about time that Disney had it’s first mixed race couple. Yes there would still be controversy over this, as there is sadly every time an interracial couple appears selling cherios on TV. But I think this is a change that the world is ready for, a change that will hopefully help the next generation be a little less racist. And on the more pragmatic end of things this I think is a positive move that disney could make that won’t disrupt movie sales. Whatever Disney decides I’m going to see the movie. But with every movie made we must realize that there is the small possibility of creating social change, especially when you are making a movie that will help shape young minds. I don’t think that Disney will take the financial risk of having it’s first LGBT princess yet. But it could still have a powerful feminist message, or a great message of diversity. So this morning I was making a Disney playlist on Spotify. Despite a number of Disney playlists readily available on the site I wanted to make my own using only original soundtracks. I can’t stand the third rate imitators on the Disney’s Greatest Hits albums, I want to hear the songs just the way they sounded in the movie. As I was going through adding movie after movie soundtrack, I noticed that one movie was absent. While I could get the original score to Aladdin, I could not get the original soundtrack. Now this is strange, Aladdin was one of the biggest animated hits Disney ever made. The songs are undoubtedly classics. But try as I might I could not find a single recording of Robin Williams singing “Friend Like Me”. And suddenly it occurred to me why this one soundtrack was no longer available. Way back in the 90’s when Aladdin came out, I remember a controversy occurred. The original lyrics to “Arabian Nights” contained a particularly racist and offensive line. The line was “Where they cut off your ears if they don’t like your face. It’s barbaric, but hey it’s home.” I can fully understand people being outraged over the line, and why in future releases of the film they changed it. What I can’t understand is why they can’t release the other songs on an otherwise fantastic soundtrack because of a horrible line in one song? I get not wanting to change an original artists work, I get not releasing it due to racist material, but for the life of me I can’t figure out why the rest of the original songs have been kept from release just because one horrible line. 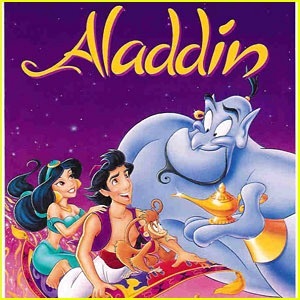 If anyone from Disney happens to be reading my humble blog, please release the Original Aladdin soundtrack. You can’t cut “Arabian Nights” just let us have access to the rest of the music. Let us begin with what is known for certain. There will be a Star Wars park coming to Disney World, It will be in Hollywood Studios, and they are set to break ground in 2016. That is all we know for certain. The rest of this post is pure speculation based largely on what I want to see, and on educated guesses. How will Disney begin the epic task of recreating and translating the vast expanse of the Star Wars universe into a theme park? That is the question. How will Disney magic be used to make us feel as if we are visiting the many worlds and space ships seen in the movie? If there is one lesson learned from Hollywood Studios, it is that merely feeling as if you are walking through a set is not enough to keep people interested in a park. The Streets of New York section of Hollywood Studios has long considered to be a waste of space, it is one area I feel fairly confident will be replaced in the near future. Naturally the new Star Wars expansion needs to have a lot more to offer then simply walking through recreations of the set. We need to examine not only what Star Wars planets could be recreated in terms of style, but also in terms of what entertainment they will offer. The pre-existing Star Wars area in Hollywood Studios seems like a natural place to begin thinking about what will happen to the park, as it will no doubt be integrated into the new Star wars area. Disney has a long history of reusing, and reintegrating old rides into new attractions. 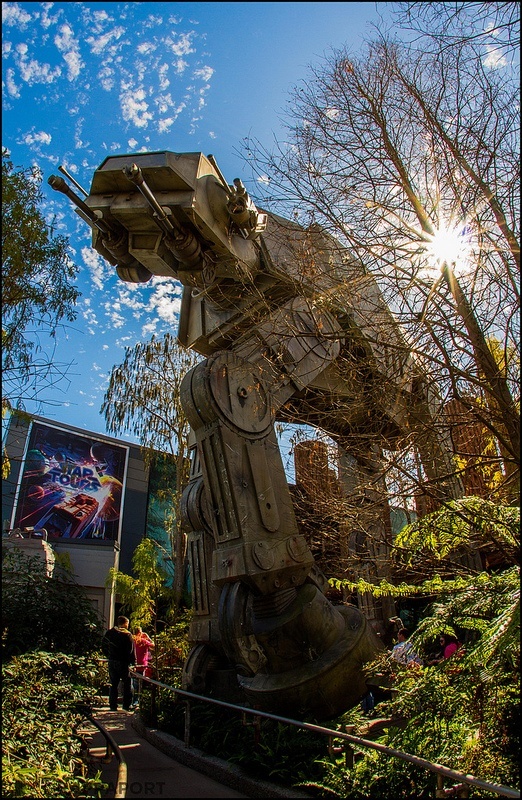 If you look at the outside of the ride it seems to be themed as if it were part of the forest moon of Endor.. 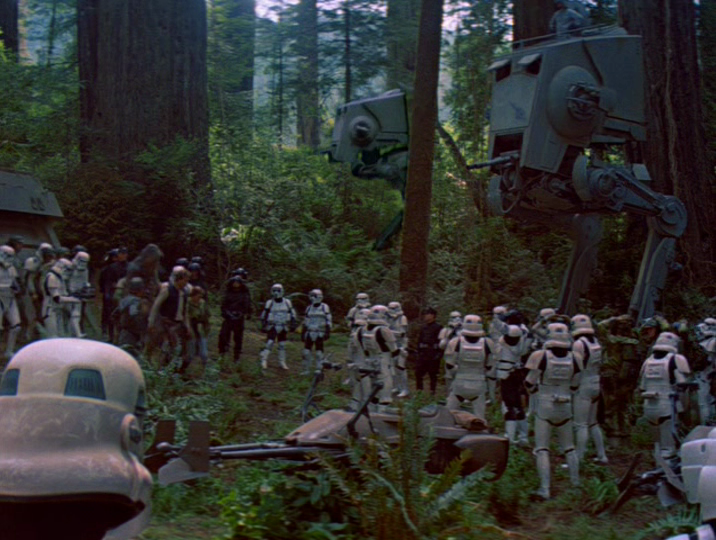 The moon of Endor seems like a natural area of the park to expand on. Because it is the home of the Ewoks. 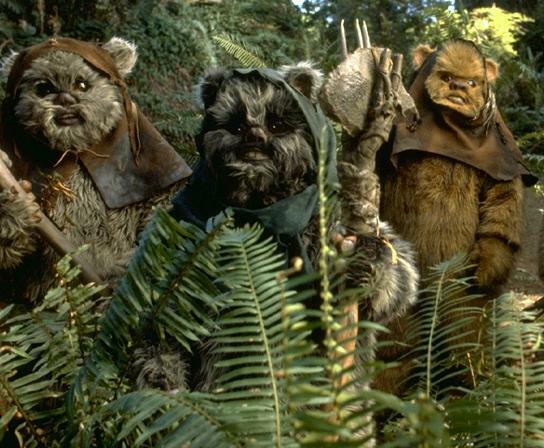 Love them or hate them Ewoks were largely created to appeal to children, and Disney is nothing if not kid friendly. The tree-house villages of the Ewoks would make a natural play area for children. 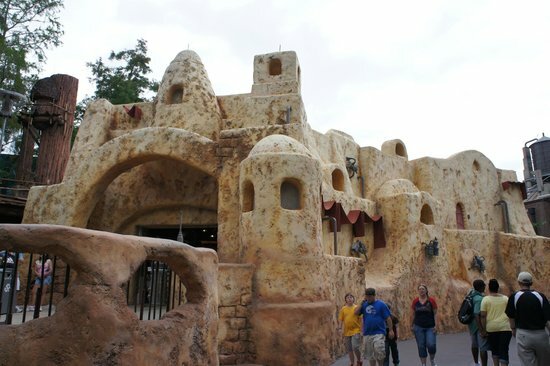 With the popularity Honey I Shrunk the Kids waning, I would not be surprised if they set up a Star Wars play area and an Ewok village would be perfect. I also have no problem imagining some sort of character meet and greet for these little guys. However, an Ewok meet and greet comes with some inherent problems. First there is the task of finding enough little people willing to wear a fur suit in the Florida heat. And, then sadly there is another problem, the park guests themselves. I know someone who works with characters at Disney and they have told me some horror stories about how people treat the costumed characters. I can only imagine problems of roughhousing will be amplified if you have people of small stature that could easily be picked up. All the same The Forest Moon of Endor seems like a natural spot for Disney to expand on, and I have a hard time believing they won’t at least try to have some adorable Ewoks running around. That is clearly modeled after Luke Skywalkers home planet for Tatooine. It is a planet that gets a lot of screen time in the movies, and it’s an area that I can’t imagine Disney passing on. The planet has unique architecture, and I have no doubt that imagineers could recreate. Though many of us like to pretend that Episode I never happened, pod racing is something that would naturally lend itself to a thrill ride. One of the most beloved scenes on Star Wars takes place on the pirate city of Mos Eisley. Many nerds like myself have always dreamed about being able to go and sit in that strange alien cantina. Disney would be foolish not to recreate it in the Star Wars expansion, especially as they already have a little bit of Tatooine. Han Shot First, never forget it. This brings us to the question of what else will be brought to the new Star Wars land. Disney has announced that they are getting rid of the Indiana Jones Stunt Spectacular, replacing that show with a Star Wars themed stunt show seems like a natural choice. What fan wouldn’t want to see a well choreographed light saber battle live? They could even have some wire work rigged up so that stuntmen (and women) could look like they have been thrown backwards by the force? A theme park that celebrates movies and how they are made needs a good stunt show, and based on the layout of the park the stunt show seems like a natural place to expand into. See Star Wars and Indiana Jones are already neighbors. What else is needed, and wanted in the new Star Wars Expansion? There is no question that the Star Wars Expansion is being built in part to compete with the Harry Potter park at Universal. I think it would be very smart if Disney created some elements to rival the Olivander’s Shop experience, and the interactive wands. Interactive experiences really seem to be the newest and one of the most exciting things happening in theme parks. Look at the success of Sorcerers of Magic Kingdom and Agent P’s World Showcase Adventure. If all of my wildest dreams come true Disney will sell interactive light sabers which allow you to enter into training exercises and battles on video screens strategically placed around the park. Hollywood Studios is currently lacking an interactive element, and the Star Wars universe seems like a natural place to have this interactive element. But of course this is just me being an armchair engineer. What I do feel fairly confident on however is that there will have to be some sort of expansion of the Jedi Academy, and that it will have more interactive elements and special effects then the current stage show. I also would be surprised if the Jedi Academy did not expand to include a Jedi/Alien makeover similar to The Pirate League. If universal allows it’s guests to experience the magic of finding out they are a wizard, Disney would be foolish not give guests an experience where they find out that they are connected to the Force. Another element I would like to see is a traditional Disney dark ride. A dark ride would probably be the best way to simulate being in space. If they design the various cars of the ride to look like space craft from the film it would make for an amazing photo opportunity. But where to house such a ride? Naturally they could make the entrance some sort of rebel military base where one enters into a large hanger and gets on a ride housed in the back, however I want to offer up a different and more interesting possibility Death Star. That’s right people, I want Disney to build the freaking Death Star. Now that they taken away the Sorcerers Hat Hollywood Studios needs a new symbol, and while I would agree that it’s a little too close to the Epcot ball it would be a great symbol for the park. But Unofficial Princess you say, that is supposed to be floating out in space it would look silly sitting in the middle of a park. No Dear Reader, if you remember the Death Star got shot down. It could be rebel base built from the smoldering remains of the crashed Death Star, that way you can walk though the cold industrial hallways of the Death Star, go down an elevator/trash compactor and still have a plausible story line for how you went there and ended up being launched into space. Spaceship Earth has proven the be a very effective ride, creating another ride inside a sphere would be pretty amazing. There are so many words seen in the Star Wars universe that it would be impossible to fit all of them. Especially as Disney will no doubt want to incorporate aspects from the new movies which have yet to come out. It will be very interesting to see how this new expansion develops, and I for one am very excited. Again I want to stress, everything in this post has been a combination of heartfelt wishes and educated guesses. I do not work for Disney, but on the off chance anyone from Disney is reading this I would love to work for you. Before I go, I offer one last prediction. I am betting my pirate Mickey Ears that the ground breaking for the new Star Wars Expansion will take place on May the Fourth. And this Dear Reader is where I leave you. Let me know what you would like to see in the new Star Wars expansion, and may the Force be with you. Just wanted to apologize for not posting the past few weeks. Do not worry I am not abandoning my blog, I am just fighting off a very bad cold. Should be back next week. with a post about the planned Star Wars addition to Hollywood Studios. The Disney Dining plan is a prepaid meal plan available to guests staying in Disney World resorts, who are over the age of three. If you are having difficulty deciding weather or not to go on the meal plan in the first place, please see last weeks post for more on that. The there are five different levels of the Magic Your Way package available, six if you count the basic room and tickets package. Today we be focusing on Quick Service Plan. All plans come with one refillable resort mug per person. This mug can be used to retrieve almost unlimited drinks from your hotel cafeteria, and from the pool bar at select hotels. The drinks are fairly basic sodas, tea, and Nescafé “coffee.” If you were to buy the mugs individually they would cost a little under $17. Whether or not that is a good deal to you depends on how much time you spend at the hotel and how close your room is to the hotels cafeteria or pool bar. Another similarity between all meal plans is that tips are not included. Please budget accordingly. The servers at Disney work hard to go above and beyond what is expected, and keep in theme with the restaurant. Unless you mysteriously get a terrible rude server, assume that they deserve a solid 20% tip at all sit down restaurants. And this my friends is where the similarities end. The plans differ greatly in terms of what types of meals you can get. Here is what you can expect from the Quick Service plan. Quick Service restaurants are restaurants that are designed like a cafeteria, or typical fast food restaurant. For the Quick Service meal plan most restaurants have a combo meals you can select from consisting of an entree, a fountain drink, and a small dessert or piece of fruit. If you are ever confused on what is or is not part of the meal plan entitlement ask a cast member they are happy to help. As one might expect Quick Service restaurants are very casual, you stand in line to order and once you get your food you are free to go and choose a place to sit. That’s it no reservations (with one notable exception), no need to give a tip, just grab your food and go. This is the main advantage of the plan, no extra planning needed and you know exactly how much you will be spending on food on your vacation. While many of the QS restaurants do serve traditional fast food staples like hot dogs, sandwiches, and chicken fingers you absolutely do not have to worry about having a limited diet on this plan. The type of food varies greatly There are more Quick Service Restaurants in Disney then there are any other type of restaurant. Every single hotel at Disney has a Quick Service Restaurant, and every single park has a ton of Quick Service places to choose from you are basically guaranteed to find something you will like. The Quick Service plan gives each guest two QS meals per day and one snack per night of your stay. So if you are staying five nights that would be a total of 10 Quick Service meals and five snacks per person. Adding the QS meal plan costs about $43 per adult, and $18 per child per night of your stay for 2016. Will two meals a day be enough? Well that question depends on how much you typically eat, but for most people I would say it is. Serving sizes at Disney are huge and you will likely be so full from one meal that you can use a snack to fill you up in between meals. Snack points are incredibly diverse and you could easily use one as a meal replacement. In the morning you could go and get a Muffin or other pastry using a snack point and get a drink with your refillable mug for a fast and easy breakfast. Or if you prefer a large breakfast you can choose to use your snack point for lunch. Snack points are not just for ice cream, popcorn, fruit, drinks, or pastries; though I absolutely will not judge you if you get a Dole Whip for lunch. Some places will give you a cup of soup, a side of fries, egg rolls, or even bags of trail mix for a snack point. I could do an entire post on the many amazing things you can get with a snack point. Just remember when looking at a menu if you see this symbol next to it. It means that you can get it for a snack point. Naturally there are some drawbacks to the quick service plan. Many Quick Service restaurants have limited seating so it may be hard to find a clean table. Some places only have outdoor seating making it impossible to escape the heat or the rain. As with everything else in Disney there is a good chance you will have to wait in line. While there is a good variety of food available from the Quick Service plan, it may take a little research to get an idea of which places you would like to eat at, especially if you want to avoid typical fast food items. This will show you every menu from every Disney Restaurant. Now there is one Quick Service Restaurant that is very different from the rest. Be Our Guest is a Quick Service restaurant for Lunch and Dinner. You absolutely have to make a reservation for if you want to eat there. It offers a very unique dining experience. You check in with a cast member, are led inside the castle, you order your food at a kiosk, and receive a “magic rose.” You take the rose with you and choose where you would like to sit, take a small detour to a counter to pick up your drinks and silverware, and a cast member shows up with your food almost like magic. Of course with your meal being delivered to the table tipping is suggested. However even with having to make a reservation, and giving a tip it is well worth it for the atmosphere of this restaurant. To use the Disney Dining Plan, or not to use the Disney Dining Plan. That is the question. The Disney Dining plan was introduced in 2005, and as anything added to Disney it was not without controversy. Love it or hate it, the meal plan is here to stay. I will attempt to provide a basic guide to making the big decision to go on the meal plan. First and Foremost the Disney Dining plan is available only to people staying is Disney Resorts. 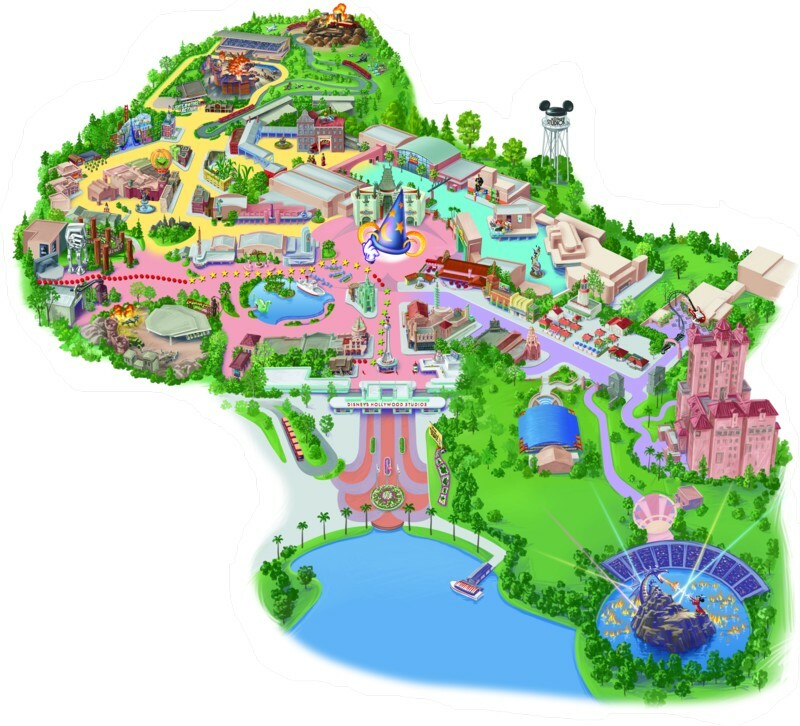 This does not include the Swan and Dolphin, or any number of good neighbor hotels in the area. If you are not staying in a Disney Hotel then you can completely ignore this article. 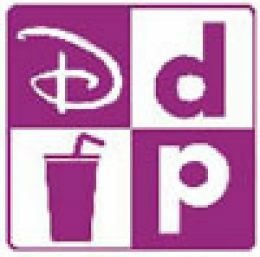 As the name suggests the Disney Dining plan (or DDP for short) is a prepaid food food plan that allows you to eat at select restaurants on Disney Property. The restaurants you can eat at, the amounts of food you get, and even the types of food you can get vary greatly depending on which meal plan you pick. You will find people who feel pretty strongly pro-meal plan, and people who are strongly anti-meal plan. Ultimately getting the meal plan, or not getting the meal plan boild down to personal preference. When deciding weather or not to get the meal plan, the most important thing you have to ask yourself is this question. Would you rather have everything paid up front and worry about weather or not you got a good deal, or would you rather go through your vacation checking prices on every menu and planning the budget yourself. The answer really depends on how you like to budget, and which meal strategy you prefer. Reasons not to do the meal plan. The simple fact of the matter is that you can probably eat cheaper if you don’t get the meal plan. WDWinfo.com does a fantastic job of breaking down the prices of meals and how much you would pay out of pocket to eat the same things price breakdown here Usually there is a small savings, even if you eat every meal in the park. It is also worth considering that there are several great things at Disney which do not fall under the Disney Dining plan. Turkey legs, the delicious waffle sandwiches at Sleepy Hollow in Magic Kingdom, The House of Blues, and meals at the nicest restaurant in Disney Victoria and Albert’s; cannot be purchased using the Disney Dining plan. The popular Dessert Parties hosted in Epcot and the Magic Kingdom are also not part of the meal plan. Alcoholic beverages, and specialty drinks that come with souvenir mugs and glow cubes are also not part of the meal plan. Another issue that opponents of the meal plan bring up is the stress of scheduling meals. If you are on a meal plan that includes sit down meals (Regular dining plan, and deluxe meal plan) then you really do have to sit down and schedule your meals as many as 180 days in advance. For a lot of people booking meals this far ahead is stressful and takes away some of the fun and spontaneity of a vacation. Reasons to use the Disney Dining plan. Having the meal plan adds a bit of luxury to your vacation. You can order without ever looking at the prices listed on the menu, and personally I find that thrilling. Lets face it food at Disney World is expensive. I know that if I were to go without the meal plan I would end up ordering the cheapest things on the menu, and eating mostly at Quick Service restaurants. Frankly I know I would end up cheating myself out of a lot of very enjoyable meals and experiences that way. If you have the meal plan you are a lot more likely to take advantage of the great restaurants around Disney property. Having a nice sit down meal in a beautifully themed and air conditioned restaurant provides a great way to relax after a hectic day in the parks. Character restaurants are the best way to get pictures with characters. There is no standing in line in unbearable heat, you just sit there and the characters make their rounds to visit your table. Characters seem less rushed in their meetings at character restaurants. They have a little more time to strike up conversations or play around with you when you are at a sit down meal then when they have a massive line of people staring at them. In the real world if I saw a buffet for $40 I would turn around and walk away. With the meal plan you can feel free to eat at a different character restaurant every day and feel a lot less stressed out by the prices. Another advantage of the meal plans is that with the Regular and Deluxe dining plans, you can combine two table service points to get an exceptional dining experience at one of Disney’s Signature restaurants, or one of the dinner shows. The Signature restaurants offer world class gourmet meals, in an atmosphere that is typically a lot more quiet then that of the usual restaurants at Disney world. The shows are offer tremendous family fun. And yes, you can still use good old cash to pay for any of these meals but the question is would you? So this brings us back to the original question should you get the meal plan or not? If you get the meal plan will you feel pressured to order the most expensive things, never skip a meal, and eat beyond the point of being full in the name of getting your moneys worth? Well then the meal plan is not for you. If you do not get the meal plan will you still go out and get foods you really enjoy instead of the cheapest ones on the menu. Would you go all out and have a fancy dinner at a theme park, or attend a show if you see the price tag on the menu? Well then if you can afford it I say go on the meal plan. Do you have a lot of picky eaters who will probably be happier with PB&J packed at the hotel room, and the occasonal meal of hot dogs and chicken fingers? Don’t get the meal plan. Do you love to try new foods and experience other cultures cuisines(don’t worry they will still have a kids menu for the picky eaters), and unusual dishes? Do you want an excuse to get dessert with every meal that isn’t breakfast? Get the meal plan. Next week I will delve deeper into the different types of meal plans, and selecting which one is right for you. As well as some strategies on how to spend your meal points and how to schedule things. Epcot: A Tale of Hidden Mickey’s and how Frozen is about to change everything. Have you ever wondered how a theme park came to have such an odd name? Well kids that is because Epcot began not as a theme park but as something a lot more ambitious. 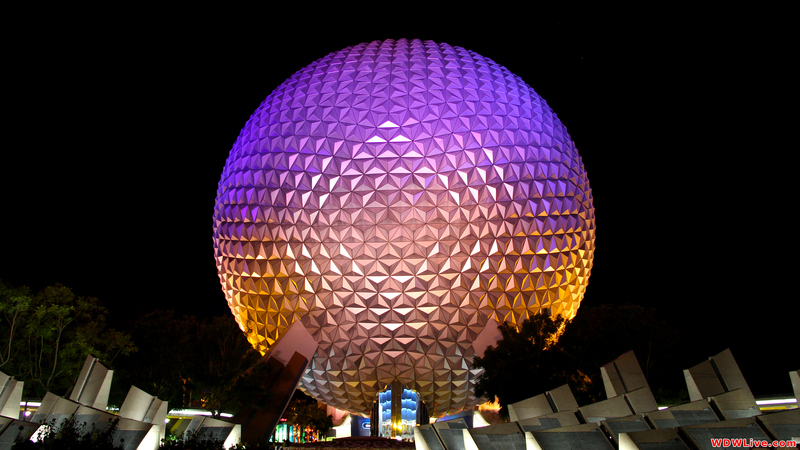 Epcot stands for Experimental Prototype Community of Tomorrow. It was supposed to be a Utopian city of the future guided along by Walt Disney’s Design. The problem was of course, that Walt Disney died before this could be built. The Disney company decided that they did not want to branch out into the world of City planning without Walt’s guidance. So instead they took the basic idea for Epcot and turned it into a theme park. It was decided from the very beginning that Epcot was going to be a more adult park. It would be focused more on technology and education then the parks before it. It was also decided that the park would be catering to more adult needs. Epcot was built with fine dining, excellent shopping areas, and adult beverages. It was decided that characters would not be in this new more adult focused park. Some say it was because the Disney company wanted the focus to be on innovation and culture not cartoons. Others day that the company made the decision to leave characters out of the park had more to do with the fact that it would be inappropriate to have people drinking around the characters. Whatever the case characters were not supposed to be in the park. With characters banned Imagineers had to get creative to make the presence of their famous mouse known. And this my friends is how the Hidden Mickey came to be. It was a game of skill to see where Mickey could be subtly hidden inside the rides and decorations of the park. Naturally Imagineers got jealous of all the fun that was being had in Epcot and began to hide Mickey’s in other parks. For years there has been a slow and creeping dissolution’s of the no character rule in Epcot. Naturally it first crept in with merchandise. Mickey, Minnie, and other members of the fab five dressed up to reflect the different countries in the show case. 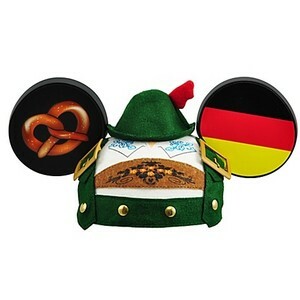 And of course there is my favorite Epcot merchandise of all times. Hats off to a people who have sufficient sense of humor and bravery to wear this bad boy around the parks. It’s Awesome! Then there were character meet and greets. Mary Poppins in England, Aladdin and Jasmine in Morocco, and The Three Caballeros in Mexico to name a few. Now you can get your picture taken with any number of characters near the main entrance of Epcot, and at a special photo area for Disney chase Visa card members. This is also fine. The lines to meet characters have gotten outrageous, and it makes sense that they had to have a few more areas where people could meet them. Meeting characters in no way distracts from the overall education theme (or Booze theme depending on who you ask) after all no one comes to the park just to get their picture taken. The problem of course is that now the classic and beloved ride of Maelstrom, is currently being removed in favor of a Frozen ride, and this my friends is where I begin to have a problem. I love Frozen don’t get me wrong, it’s a great movie. As adorable as I am sure the ride will be; what will it teach us about Norway, or … anything for that matter. Listen there are certain characters that would easily lend themselves to a wonderful and fun educational ride. The cast of Inside Out could teach kids about emotions. Ratatouille could do an educational movie teaching kids nutrition. Mulan and Shang could come out once a day teach kids some awesome self defense moves. There are a lot of different ways that Disney could utilize characters to teach important lessons which are completely consistent with the theme of the park. Frozen teaches about love, family, and friendship like many other Disney Movies. Norway is a pretty awesome country and frankly they deserve to be represented in the World Showcase with something that is actually part of their own history and culture. I wouldn’t object to updating the educational ride at the end of the movie, maybe have Olaf be your tour guide through History. I just don’t like that education is being completely erased from the park. Epcot is in need of some major renovations, I don’t think anyone can argue with that. However taking out things which actually have educational value, in favor of using popular movies is something I simply can’t agree with. I really hope that this trend does not continue. Disney is one of the few companies brilliant enough to make something educational fun and entertaining, it should not turn it’s back on something so amazing in favor of cashing in on a popular movie.